These 2 rental residential 800 Sq. Ft. house built in 1975 2 bedrooms, 1 bathroom with dead end road frontage in pocahontas, AR 72455, Randolph County in Pocahontas school district. These houses are in the area where rentals are needed to house the employees of the new Peco plant. These properties will be good investments for resale or rentals. I have been a woman in business for over 30 years, bought , built and sold several different business's in several different industries over the years. For the last 14 years I have been in the Real Estate business as an agent then broker. 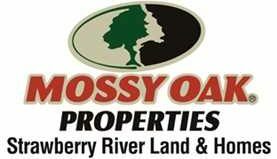 I have worked rural Arkansas selling Farms, poultry operations, hunting land, commercial and residential. My husband and myself are currently owners of a cattle operation, and have recently sold a Breeder poultry operation. We understand the farmers concerns and needs as it applies to real estate and income. We own several pieces of rental property, so I know the process of buying, renting, maintaining, income property for the investor. I love what I do and where I do it! !